We pride ourselves on our commitment to get as many people as possible out on the fairways. For juniors (aged 3-15 years old) we have a Junior Membership section which includes a year round programme of tuition, under the expert eye of Head professional, Gary Lenaghan, and his team of PGA qualified teachers. Please contact us direct for more information on Trevose Junior Membership. Remember, it’s never too early to start playing golf – and who knows, it could be the start of something very special. 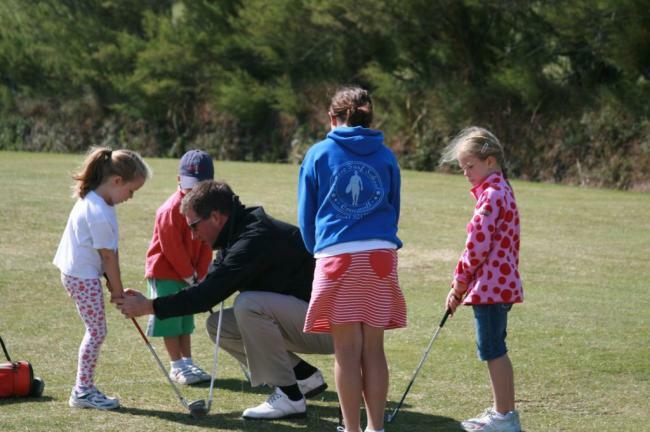 Click here to see our Junior Golf Coaching programme. Our aim is to encourage anyone and everyone, of all ages and abilities, to give golf a go! With first class practice facilities and PGA qualified professional tuition on site there can be no better place to take your first swing – including the Trevose Performance Centre, a short game area and three courses for golfers of all standards. The Short Course provides the perfect introduction to golf for beginners, and the ideal challenge to help build your confidence, improve your skill set and prepare you to take on the bigger challenges presented by The Headland Course and (eventually!) the Championship Course.